The TRU Calm Parent relaxation and Self Renewal Series is a series of 8 audio tracks that teach you the ins and outs of using relaxation and meditation to finally get the kind of personal calm you need and want with your kids. These relaxation and meditation techniques have helped parents and clients for years to calm personal anxiety, frustration and anger and become more mindful in their responses toward their children and others. 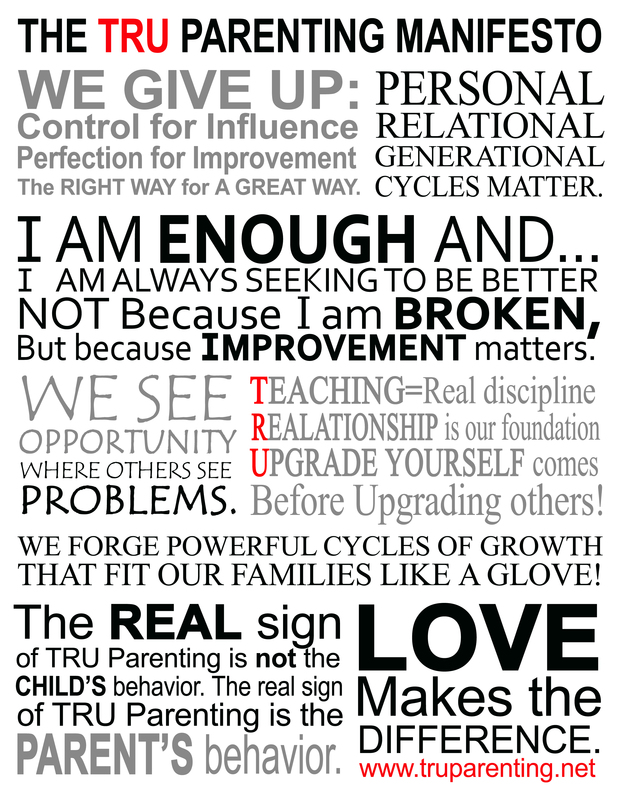 TRU Calm will help you Teach and discipline more effectively, build a beautiful and bulletproof Relationship with your child and Upgrade yourself and your own emotional intelligence and ability to decrease daily stress, feel more relaxed and model healthy self-regulation skills to your children. “As parents we find ourselves being pulled in so many different directions, spinning plates in the air while we attempt to spend time and fully connect with the best part of our lives…our children. 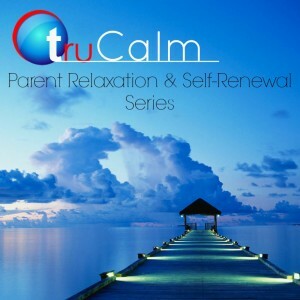 Is the “TRU Calm Parent Relaxation and Self Renewal Series” for you? Do you want to feel less stressed? Do you want to stop losing it with your kids? 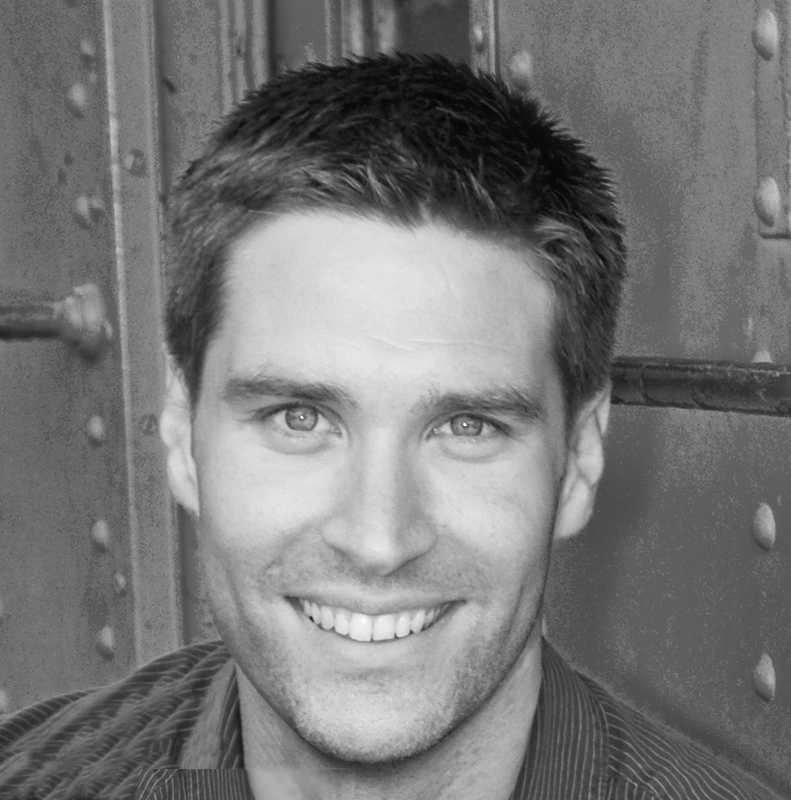 Have you ever said to yourself, “I know I need to keep my cool with the kids, but how? Sometimes it feels like the stress, frustration, anger and the reactions that come with them are just automatic. I don’t want to lose my cool. It just happens. I don’t know how to change the cycle.” Do you want to have greater influence with your kids, while building a happier child, a happier you and a better relationship? 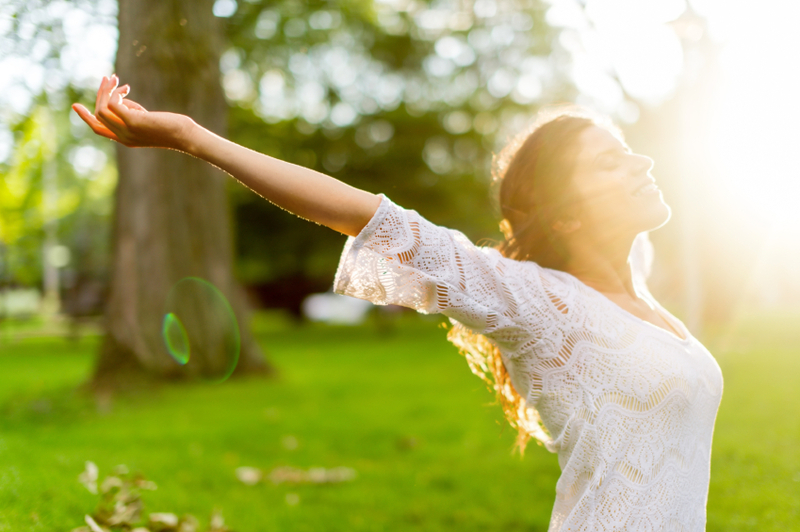 Do you want to feel more energized and less reactive? 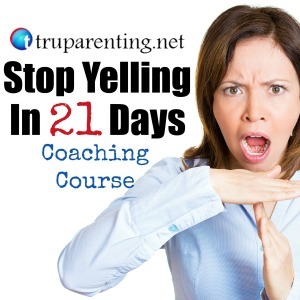 Do you want to yells less and feel more in control of yourself? Do you want to be more mindful and deliberate in how you interact with your kids and others in your life? If you answered yes to any of these questions, “TRU Calm” can help you. It is definitely for you! One success story at a time! Years ago I worked with a mother and her son that were struggling to enjoy life together. I was primarily supposed to be working with the son, but as a therapist, I always incorporate the parents into their child’s therapy. On occasions when I invited both Mom and her son into the office together, I observed that the little boy was an absolute master at getting under his mother’s skin. He would push all the right buttons to Moms breaking point. Mom had been conditioned to expect the worst and then react with her worst each time they were together. When she felt that he should be sitting calmly and listening intently in our sessions together, the little boy would hop around the room and pick up items in the office. As he did so, I could see his mother start to fidget in the seat. Within a couple minutes of being together in the same room, she would give audible gasps as he picked things up or moved from spot to spot. Her chest would heave and she would become visibly frazzled as she barked out orders and made short threats and negative statements about his character. She would get so frustrated that she would even shake at times. Over time, we worked together on learning skills to calm herself and respond mindfully and in accordance with TRU principles. To her amazing credit, she made incredible changes. Her behavior toward him changed dramatically over the course of a month or two. I could see a dramatic shift in her attitudes and responses, and subsequently in her son’s as well. Learning to utilize the calming, relaxing power of her own breathe was just the beginning. She learned and utilized the TRU Calm techniques and practiced them almost daily. 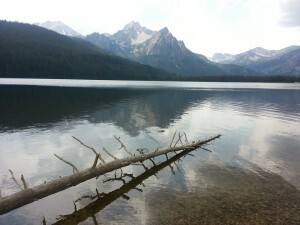 At first she said, “If nothing else, it’s worth doing my daily relaxation just for the rest and relief I receive in the moment.” Over the course of a couple weeks she began to see changes in how she and her son were interacting and how she was feeling about herself, about her son and about life in general. It progressively got better and better as she continued to practice these skills. No matter where we are in our ability to calm ourselves and interact with the world more mindfully, we can always improve through regular practice. Take the TRU Calm challenge as this mother did and let us know how it improves your parenting, life and family. Hurry, get me the TRU Calm Parent Relaxation and Self-Renewal Series Now! 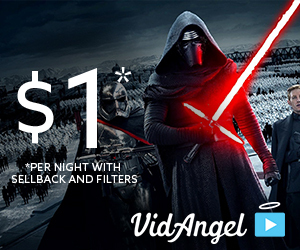 Click the Buy Now Button Below. Also, get the Quick Calm Toolkit as a FREE bonus by entering your email below! 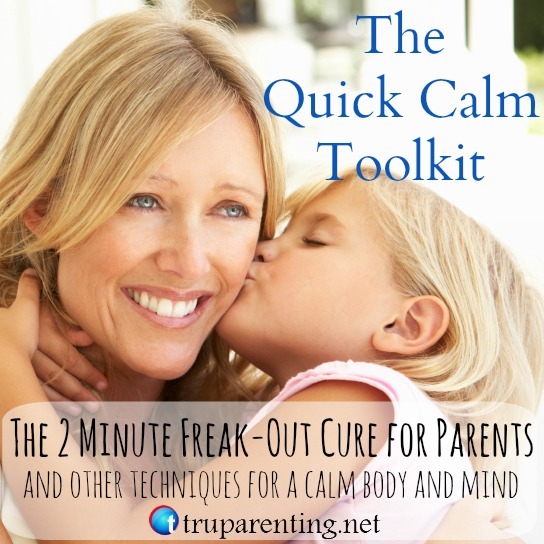 Get the Quick Calm Toolkit!